fanfare"played with real gusto by Duo46"
If Vientos (Winds) represents the idea of Hayg Boyadjian’s diverse musical influences being “blown” together, then it was wisely chosen as the title track on a disc where throughout, the 72-year-old French-Armenian composer is acutely aware of his surroundings and homelands, and the possibilities that they bring up for musical invention. Aside from nature’s forces, three of his pieces here take their inspiration and motifs from astronomy, while with his song cycle De Profundis he tackles the ancestral tragedy of the Armenian genocide of 1915. These works of constellations, elements, and tragedy were written between 2003 and 2009, dedicated to specific musicians, some of whom perform on this disc. The busy Cassiopeia makes for a forthright opening, as the five-note “W” figure (the Cassiopeia constellation as mapped out on the stave) is passed from player to player, woven cleverly into the score. Although dedicated to a clarinetist, it is a very even-handed chamber piece, switching from acidic humor to a mournful, empty conclusion, and it is noticeable how much of Boyadjian’s French heritage shines through in the splashy piano writing and spikiness. After such primary colors, Mi Tango’s introspection comes as a shock. Stunningly played by Aaron Larget-Caplan, this solo guitar piece is an energetic homage to Piazzolla’s modern tango style, although there are many innovations of rhythm and sound effects from Boyadjian. Despite being unpredictable in tone, this is arguably the most accessible track here. Then comes a return to astronomy, this time notating the six main stars of Perseus, which are then set to chords in intervals of thirds and sixths. This mathematically intricate little piece’s chief delight is not so much its structure but its texture, scored as it is for cello and flute, a lovely pairing of sinew and sugar. There is nothing sweet, though, about De Profundis, a chilling, mainly tonal cycle of three German poems, Trakl’s De Profundis and Menschheit, then Rilke’s Der Tod eines Dichters. Written for soprano Gayane Geghamyan, the singer here, Boyadjian’s allusion to the Armenian massacre is rather abstract, although that hardly matters with such expressive settings of these morbid texts. Geghamyan sings with great drama and a very full, dark tone, not beautiful but certainly striking, but the price to pay is cloudy diction. Her voice is so dark, I honestly thought she was an alto until I saw what roles she sings. Moving on from such chilly morbidity, Vientos is an evocative, frenzied work, pairing the Mediterranean heat of the mandolin and guitar with the starker insistent violin writing, making moments of drama and unease gradually subside into a more optimistic feel. This twisty, delightful score is played with real gusto by Duo 46, confidently fusing all the stylistic elements that Boyadjian throws together. The final and most substantial track, Pleiades, is another Rubik’s Cube of a work, taking the constellation’s pattern of five main stars and two smaller ones as a template, with five performers working with two motifs of five and seven notes. What appeals more than the structure is again Boyadjian’s ear for texture. The folk writing for two flutes (one a specially adapted native American flute) never cloys, especially when he tempers their bright shimmer with the astringency of viola and cello, with the added color of marimba, creating an ethereal, nocturnal world. It is a very different mood from De Profundis or Vientos and, as with every work here, there’s a profusion of ideas and color. In fact, in the end it is hard to see what singly defines his music, aside from repeated motifs and matters of the universe. The trouble is that there is something for everyone, from the tour-de-force instrumental showpiece to the inward-looking and forbidding song cycle, so that the disc does not work that well as a single program. Each piece is very rewarding and Boyadjian has an ingenious love of structure and logic throughout these very disparate works, but I would still recommend you dip in and out. Albany has done this intriguing composer proud with excellent notes and translations and bright no-nonsense sound. opus colorado "The compositions are masterful and so are the musicians - they are truly artists"
I’ve been fortunate recently, to discover some new CDs, one of which has really kindled my interest for a variety of reasons. The new CD that I will tell you about today is entitled Vientos (named after the seventh work on this CD), which means winds. It is a selection of compositions by the Armenian/Argentine/American composer, Hayg Boyadjian. This CD has allowed me to discover this composer, and his music is quite exciting. In addition, I am also fortunate enough to know one of the outstanding performers on this CD, James Pellerite, who was a Professor of Flute at Indiana University. On this CD, Pellerite performs on the Native American Flute, which has been a passion of his now, for several years. All of the performers on this CD are truly outstanding, which makes it one of the most enjoyable CDs of chamber music that I’ve heard for a while. The trio, Vientos, is the seventh track on this CD. Remember, as I stated above, Vientos means wind. 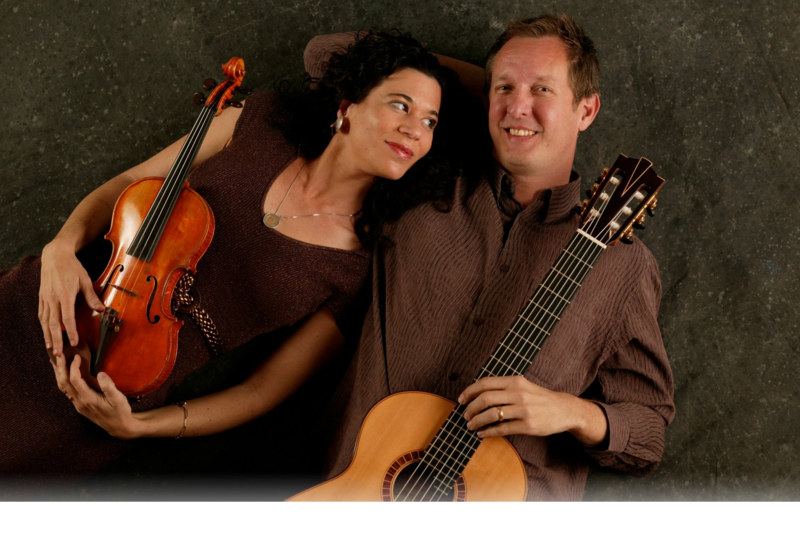 It is written for guitar, violin, and mandolin: Matt Gould, Beth Schneider-Gould, and Avi Avital. I have listened several times to this composition, and I am still puzzling over how Hayg Boyadjian creates the sound in this work. His writing, and the instrumentation, truly captures the fitful capriciousness of the wind. It is a wonderful example of his compositional ability, and you simply must hear it. This is an excellent CD which shows the artistry of a composer with whom I was unfamiliar. It is a joy to listen to, and it is firmly on my iPod. The compositions are masterful and so are the musicians – they are truly artists. I have listed them below. This Cd was recorded in 2010 on the Albany label: TROY1219. James Pellerite, Native American Flute, served for many years as Professor of Flute at Indiana University, and many of his students now hold prominent university and symphony positions. Suren Khorozyan, clarinetist, has been principal clarinetist of the Armenian Philharmonic Orchestra. Pianist Armine Grigoryan is a Professor of the Yerevan State Conservatory and since 2004, director of Aram Khachaturian house-museum. Cellist Karen Kocharyan is one of the founding members of the Khachatyryan trio, first solo cellist of the Armenian Chamber Players (ACP), Associate concertmaster of the Armenian Philharmonic Orchestra. Soprano Gayane Geghamyan has been a principal soloist with the National Opera Theatre since 1999. Pianist Anna Mandalyan has been a lecturer on the faculty of the State Conservatory’s School of Training for Concertmasters since 1988. As a member of Duo46, violinist Beth Schneider-Gould (B.M. Indiana University Bloomington, M.M. University of Arizona) made her solo debut at the age of 16 with the Cincinnati Symphony Orchestra. Aaron Larget-Caplan is on the faculty of the Boston Conservatory, the New School of Music and has an active private studio in Boston. Aaron is a graduate of the New England Conservatory of Music in Boston where he studied with David Leisner and Eliot Fisk. Charles Latshaw is the Music Director of the Bloomington Symphony Orchestra and Principal Guest Conductor of the Ars Nova Chamber Orchestra in Washington DC. Rose Armbrust has currently completed her Master’s at Indiana University where she held the merit-based Viola Associate Instructorship while studying with Atar Arad and was a member of The Kuttner Quartet, the University’s quartet in residence. Yotam Baruch, at the time of this recording, was studying with famed cellist Janos Starker at the Jacobs School of Music at Indiana University. Brian Blume is also a graduate of Indiana University and is currently percussionist with the Terre Haute Symphony Orchestra and has also played with the Lafayette Symphony, Columbus Indiana Philharmonic, Carmel Symphony, and Bloomington Camerata Orchestra. Tigran Gevorgyan has been a Professor of Flute at the Yerevan Conservatory since 1985. Pictor ut ligulate ameti dapibus. ticdu nt mtsen lusto dolor ltissim comes cuml dia sed. inertiom lacusueni ascet dolingerto aliiqt sit amet eismu com odictor ut ligulate cot ameti dapibu. Nemo enim ipsam voluptatem voluptas sit aspernatur aut odit aut fugit sed quia consequuntur magni dolores eos qui ratione.